Riding the streets of RVA with Tim Johnson. Tim Johnson, six-time US Cyclocross National Champion, is in Richmond, Virginia, this week for the USAC Collegiate National Championships. One of Johnson’s sponsors, Volkswagen, also sponsors USAC cycling and invited Tim to RVA to help promote the event. The Collegiate Championship races will take place on the same roads that will host the 2015 UCI Road World Championship. Having ridden two world championship road races, Johnson offers the organizers a unique perspective on what they can expect when the world comes to town in 2015. Richmond 2015’s Lee Kallman met up with Johnson last year on the final day of the Ride on Washington and loved the type of organized ride the TJROW leaders conducted. 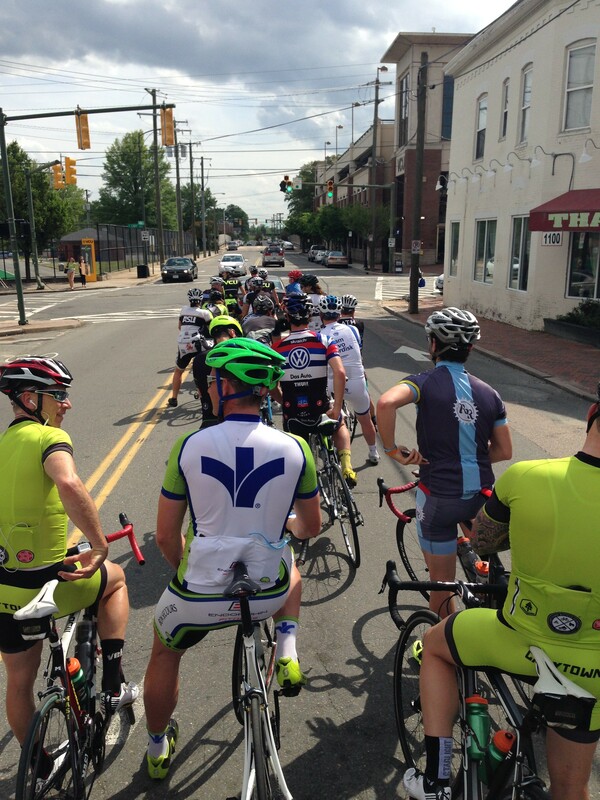 With Johnson in town for the races, Kallman organized a ride with Johnson and local riders to reinforce the smartest and safest ways to conduct a group ride. After that ride, I had a couple minutes to catch up with Tim. In our chat, Johnson touches on his World Road Championship experience, the World Cross Championships, his plans for the year and his continuing bicycle advocacy work including the upcoming midwestern ride on Chicago. Catching Up With Tim Johnson from In The Crosshairs on Vimeo. Thanks for sharing the interview. Tim Johnson is such a great spokesman for cyclocross and cycling in general on top of being a really cool dude.